Accenture employees together with Pasig River Rehabilitation Commission (PRRC), and the River Warriors of Kapit Bisig Para sa Ilog Pasig (KBPIP) recently conducted a clean-up drive at Estero de Pandacan, Brgy. 843, Pandacan, Metro Manila. The leading BPO company in the Philippines, Accenture Inc has always been supporting the advocacy of ABS-CBN Lingkod Kapamilya Foundation’s KBPIP program to help clean and rehabilitate the Esteros in Metro Manila. For the third time around, 38 employees of the said company cleaned the easement along Estero de Pandacan as well as scooped the floating garbage. The River Warriors and some barangay officials also participated during the clean-up drive. Brgy. 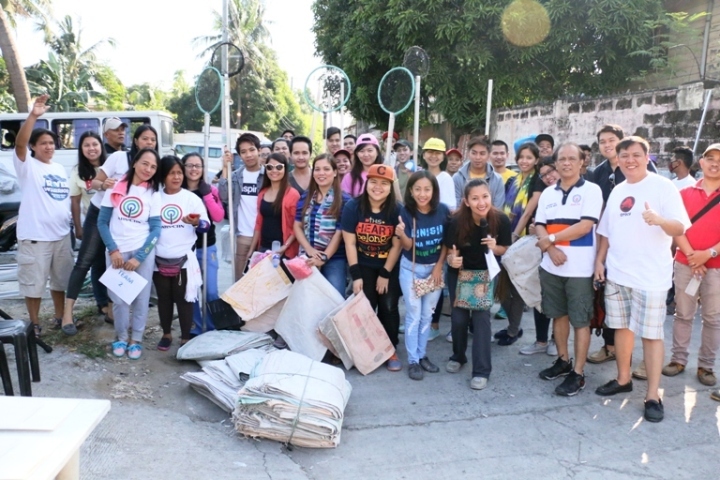 843 Chairman Tito Arispe said that the collaborative efforts of residents in the Barangay is an important factor to achieve a clean and safe environment, and he is grateful to have Accenture Inc. employees who volunteered and shared their time and effort to clean the Estero de Pandacan. This is part of the Corporate Social Responsibility of Accenture Inc. in championing a clean and safe Esteros and the Pasig River for the next generations.